Don Carson, New Zealand Tree Grower February 2019. The Forest Growers Levy Trust was pleased at the support for the levy at a series of regional meetings held in late October and November last year. 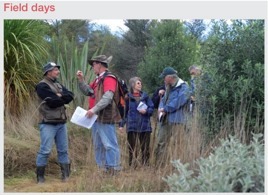 A total of 13 meetings were organised around New Zealand to give small-scale foresters the chance to learn more about the levy and give their views on how the levy funds should be invested. The meetings, from Gore in the south to Whangarei in the north, were complemented by two webinars for those who preferred to dial in from their own home or office, especially those who lived some distance from the meeting venues. The regional meetings were part of an awareness campaign which started last year with the broadcast of 10 episodes of Forest Call on Face TV to make sure owners of small and large forests know about the vote in March and April this year on continuing the forest levy for another six years. The forest levy, or to give its full name the Harvested Wood Materials Levy, was introduced in 2013 under the Commodity Levies Act and must be approved by a vote from levy payers every six years. 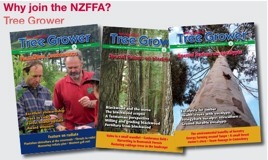 The Forest Growers Levy Trust were supported at the meetings by the NZFFA with the NZ Forest Owners’ Association representatives attending in their capacity as the Secretariat for the Board of the Levy Trust. Geoff Thompson, Chair of the Levy Trust, was delighted with the woodlot owner interest. He says he knows public meetings are no longer the preferred method of communication for many people, but the Trust thought there was still value in giving levy-payers and potential levy-payers the opportunity to talk face-to-face with the Trust and to ask questions. He also said that the levy process has been very successful over the past five years, and we are keen to continue to bring more benefits to all forest growers. The meetings ran through some key facts and figures about the levy along with how it is administered and allocated. The presentation ran through the composition and the role of the Levy Trust Board, and explained that a representative advisory committee took responsibility for providing the Levy Trust Board with guidance on each area of investment, such as biosecurity, health and safety. The work of each committee was explored in detail with videos and pictures shown of the key initiatives in each area, such as an animation on what robotic harvesting might look like in the future. Other presenters at the meetings included David Rhodes, Chief Executive of the Forest Owners Association, Glen Mackie, Don Carson, and board members representing the Forest Growers Levy Trust itself. Hamish Levack of the NZFFA was one of the presenters who gave an overview of the levy from the perspective of the small forester at each of the meetings. Other NZFFA representatives were part of the presentations panel at many meetings, speaking in support of a new levy. Hamish admitted that he was not enthusiastic when the levy was first suggested, but has since come to realise the value of the forest industry working together to support its own research and development. He opened his webinar presentation by illustrating how one of the levy-funded initiatives was saving foresters about eight dollars a tonne – not a bad return for a levy investment of 27 cents a tonne. Once the formal part of the meetings concluded there was time for plenty of discussion and questions. The need to get more people involved in the forestry industry came up several times. Geoff Thompson responded by saying that the Levy Trust is already doing work in this area, for example by supporting on-the- job training schemes, and funding tertiary scholarships. However, it is one of the areas where we could look to expand our support to make sure we have people coming into the industry with the right skills. With forestry becoming a $6 billion export industry, as well as producing record volumes of sawn timber for export and domestic use, a supply of good quality labour was vital. At one of the meetings someone asked why the levy rate was set so low and said it should be higher. This was seen as a good sign that people thought the levy was worthwhile and did not think it was onerous. The new levy order is proposed to have a wider range of levy options than currently apply. The range will be between 24 and 33 cents a tonne. This will provide an option to keep the levy income stable while harvest volumes are likely to be unstable over the next few years. The present levy range is between 27 and 30 cents and it has been set at 27 cents for each year of its term. There are no plans to make it higher as it is meant to be a sustainable fund which can keep providing benefits over the long term. Another question which came up was whether the levy fund had been future proofed in case of falling volumes of harvested wood in the future. Geoff Thompson responded by saying that the levy had been developed as a sustainable fund. The amount raised has peaked at about $11 million in the year to the end of October last year due to the increase in harvesting of the forests planted in the 1990s. Once this harvesting is completed, the predictions are that the levy will settle at about $9 to $10 million each year. On the whole these meetings were a very valuable part of the awareness campaign to make sure people have the information they need to cast a vote. Since the round of meetings, the first results of another component of the levy awareness programme have been reported. A national survey of woodlot owner opinion was conducted towards the end of the round of meetings to gauge opinion on the levy and how it should be invested. The survey was an initiative which came through the NZFFA and was conducted by the professional polling organisation Colmar Brunton. 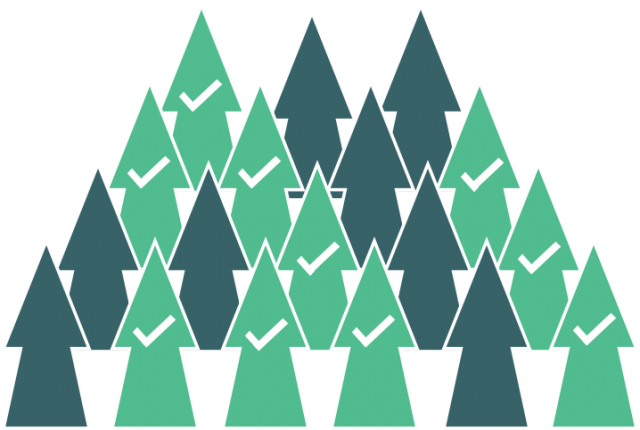 An initial sample survey in September indicated most woodlot owners were not sufficiently aware of the levy to make an informed vote. In the follow-up survey, completed in mid-December, a majority of respondents say they now have enough understanding of the levy to vote with confidence. Most of the respondents said they feel either quite positive or extremely positive about the levy. While Geoff Thompson says it is good to get such an endorsement ahead of the levy vote, he looks forward to the final report to see what the Levy Trust needs to take on board about which priority investments woodlot owners would like. The survey is one of the valuable methods we can use to fine-tune how we allocate the levy dollars to make sure all sectors of the forest industry know they are benefitting. The levy vote takes place from 15 March to 19 April 2019. Anyone who will potentially pay the levy during the six-year life of the next Levy Order, which is from 2019 to 2024, will be entitled to vote. There is a fuller explanation about the levy vote and eligibililty on the website www.levyvote2019.nz. It is important that we get a good turnout from the small-scale foresters, as well as the big forestry interests.